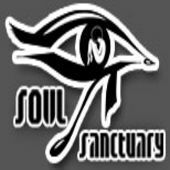 Soul Sanctuary Inc. presents a potent blend of soulful music and engaging talk through an assortment of regularly-scheduled radio programming. We've got something for everyone...jazz, funk, soul, hiphop and much more. Hosted by Your VibeMistress Stephanie Renée and other special guest contributors. Give us a listen! Updated about 1 month ago.